The problem with Tuxes is that they tend to not be cut very nicely. Granted things are beginning to pick up in this area over the last few years, but it has always been second choice to a nice suit for us. 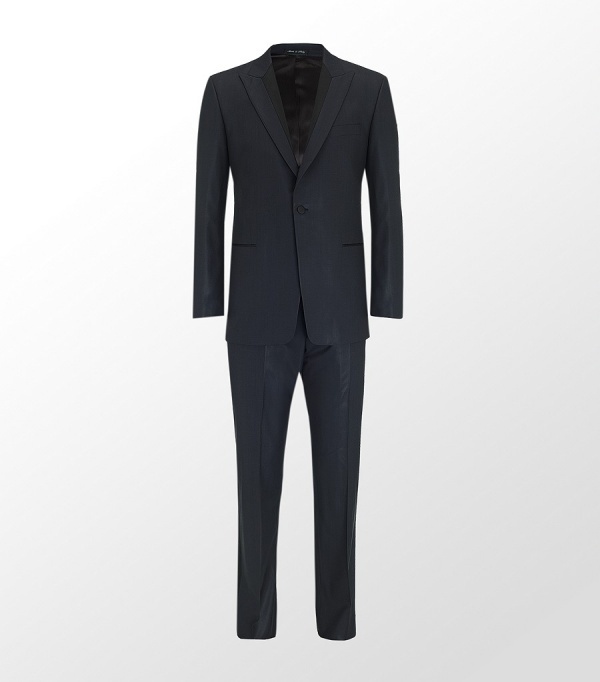 Well Paul Smith has turned everything upside down with this slim fitting Bayard Tuxedo. The high breaking two-button design and slit pockets, have all the conservativeness you need for a Tuxedo situation. But with flat front, drain pipe pants and a tailored jacket, it can almost double as a very nice suit. Fully lined with a split peak lapel, this little number has us aching for a formal affair… or at least a good valet job. Available online. This entry was posted in Black Tie, Pants/Bottoms, Suits and tagged Bayard Tuxedo, Paul Smith. Bookmark the permalink.